Hello there and welcome to hoshalpatrick.com, the online home of London-based band Hoshal Patrick. Please have a look around and if you'd like to book us or find out more about us then fire something off to hello@hoshalpatrick.com - we'd love to hear from you! "Hoshal Patrick kick off the night in style and immediately catch the crowd's attention"
"These chaps have got an idea or two"
"My Lady At Low Tide kicks in with dreamy synths and harmonies to die for. 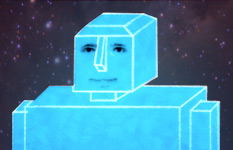 It's a quality piece of electronica pop-folk much like the latest offerings from Noah & The Whale"
"A bit like MGMT mixed with a dollop of Adam and Joe"
Have you met our friend Poo John, the soul-singing robot? Well, he'd like to meet you. Let him serenade you - he could do with the company. Let him know over on Facebook about any songs you'd like to hear his version of. 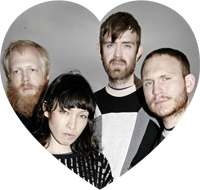 We were very excited to receive an email from Little Dragon to say "Really love your music. Love the sound and the tunes, wicked". They are one of our favourite bands so we gave them a demo after watching their show. They also mentioned us on their blog. Thanks guys!